Avant 620 Ultimate Series use heavy weight mesh in a variety of standard colours with reinforced corners. These sails are double stitched for extra strength and all mesh has 95% UV protection and all sails have a 10yr UV pro rata guarantee. Below are the tension system options. There are three types of Tension Systems available and these materials run around the perimeter of the sail in the hem. *Stainless Steel- the top Tension System with the best strength and life expectancy and suitable for all conditions. *Polyprop Rope- the most versatile Tension System with good strength and life expectancy and suitable for all conditions. *Webbing- Entry level Tension System with webbing in the corners and suitable for domestic use only, not suitable to withstand high winds. 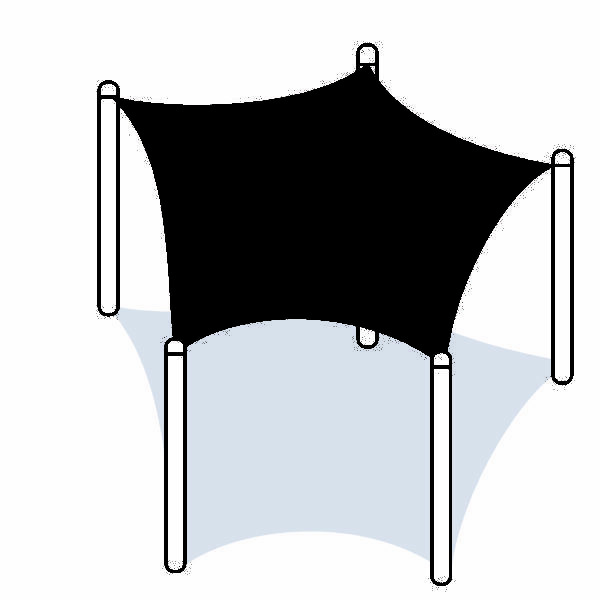 Avant Shade Sails enhance any domestic or commercial outdoor setting. The Avant Shade Sail with its high level of architectural style will provide excellent UV protection creating an enjoyable, safe environment over decks, courtyards, pool areas, gardens, children’s play areas, car spaces and entry ways. 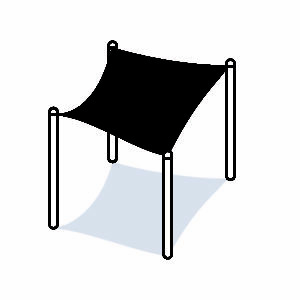 Avant Shade sails are tough, durable, UV resistant and are designed to withstand the challenges of the harsh outdoor elements. They are made with premium strength shade cloth with high density polyethylene (HDPE), warp knit and UV stabilized material which allows air to flow at all times. Avant Shade Sails can be supplied, sail only or can be supplied as a kits set for any handy man to install or for the bigger project our industry expert consultants can install on site for the perfect fit. Our design team will liaison with you to design an innovative, eye catching and highly functional shade systems that will exceed your expectations.